While there have been a ridiculous number of words wasted written about WordPress & the GPL in theory, there hasn’t been nearly as much discussion of the GPL when it’s actually put into practice. To get a better idea of how the GPL actually impacts the WordPress community, I asked Brian Gardner of StudioPress a few questions about his experiences under the license. 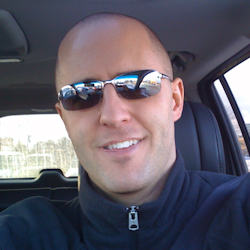 For those of you who don’t know, Brian has been at the forefront of WordPress theme development for quite some time and was the first (at least to my recollection) premium/commercial theme developer to embrace the GPL. While many theme developers have followed suit in the last several months, Brian definitely blazed the trail when it came to GPL premium themes. Brian, first & foremost, why did you choose to release your themes under the GPL? Was it pressure by Matt, the Community, something you thought was right, or a combination of all the above? The reason I choose to switch from a proprietary license for our themes to the GPL license is simple – I wanted security and to know that my business was in line with WordPress. While I don’t know (nor really care) whether or not themes are legally required to be GPL, I chose to err on the side of caution. I knew that there would ultimately be a commercially supported themes page, which I wanted to be a part of. Not to mention I knew that aligning myself with a platform that could potentially promote my work in front of millions of people was a wise decision. There wasn’t any pressure from Matt – nor were there any “under the table” deals that were made. This was purely my choice, and my trip to San Francisco to discuss this with Matt and Toni was something I made to inform them of what I was potentially doing and to ensure that I was going about it in the right way. What, if any, benefits did you expect to receive by becoming GPL & have those benefits been realized? I knew that putting myself (and StudioPress) in a position to be exposed to millions of people would definitely be worth the change. I also believe in the model of distribution, and know that having our themes in more hands isn’t a bad thing. As for realizing them – that’s a hard question to answer. There’s no scientific way to prove it was a good decision, but what I will say that contrary to what people may think, sales have gone up since our move to the GPL. It seems a lot of theme developers have become disillusioned with the GPL. Are you disappointed by how the GPL has worked in practice compared to what you envisioned before making the switch? Yes, I truly am dissappointed. While I fully knew what the possibilities were – I didn’t think I’d see as many folks using the GPL as a loophole for their own monetary gain. I’m not saying I regret the move, nor am I complaining here – merely stating that it’s sad to see folks misuse the GPL. I fully “get” that what they are doing is allowed, for me it becomes an ethical issue. In my opinion, and clearly inferred with that license, the real intent is to make the code available for people to build upon, and to come out with derivative works. [Instead], people are using it to build sites that drive traffic, get them exposure, and ultimately water down the community. To be honest, at least with our themes, I’ve seen maybe one (if that) good use of the GPL license and our work. Do you plan on sticking with the GPL for future themes? Absolutely – there’s zero chance that our work will be released in anything other than the GPL. While some theme development companies entertain the thought of going back to a proprietary license or splitting the php/images/css into separate licenses, that is something we won’t do. Overall, do you feel the GPL has helped or harmed you & other theme devs? Overall I’d say it’s helped us – more than anything, it really is the right thing to do. Our sales history is proof that the GPL license doesn’t have a negative impact on our business. Well there you have it! I’d like to thank Brian for his time & input on what’s definitely a touchy subject. Be sure to jump over and check out StudioPress’ newest theme, (a framework!) Genesis. As for inferring the intent of the developer in releasing code under GPL, the license is equally explicit that the only intent that matters is the user’s intent, not the developer’s intent. It is not unethical. It is not exploitation of a “loophole”. Distributing code under a license that includes very clear, very explicit freedoms, and then calling the exercise of those freedoms “unethical”, is hypocritical. Chip, to a large part I agree with your point. I think people call things “loopholes” when the rule or law as written allows something they don’t agree with. The ethical question I am a bit more hesitant to agree with you on. I can certainly see a valid argument about the ethics of redistributing someone else’s work without any value added etc. However, there is no doubt that the behavior is explicitly allowed under the GPL which is what Brian and several other theme developers have released their themes under. Where I start getting agitated is when developers try to intimidate users out of excercising the rights granted by the GPL. I’ve not seen Brian do that but Adii of WooThemes has been very confrontational at times in this regards and that definitely does strike me as hypocritical. Oh, no doubt: Brian is a good guy (and not just because he’s a Colts fan). He has his opinion on the matter, but other than stating that opinion, I’ve not seen him try to intimidate or otherwise coerce users against exercising their GPL rights. I just don’t buy the “ethical” (so-called “spirit” of the GPL) argument. The GPL is a copyright (or, as GNU calls it, a “copyleft” license), which means it is simply a legal tool to define rights granted by a copyright holder to those to whom he has released/distributed his work. Now, certainly, there are ethics surrounding the free-software movement and its attendant philosophy. One of those ethics involves free sharing of, and contribution back to, code. However, if the GPL is intended to impose the ethics of the free-software philosophy vis-a-vis not re-selling verbatim copies of code (i.e. profiting from GPL code without contributing back into it), then the GPL is poorly written toward that end. In truth, the GPL is not, nor was it ever, intended to enforce or impose such ethics, apart from the ethic of user freedom with respect to use, modification, and distribution of code. Thus, the ethical argument against re-selling verbatim code is specious. Ultimately for me, it comes to MY view of ethics. When someone deliberately uses my branding, undercuts my pricing and misleads users that is what I call sad. It waters down the community, pisses people off and overall causes a bad experience. To me, I consider that a sad use of the license. I agree with you on two out of three. When it comes to misusing your branding and deliberately misleading, I absolutely agree with you. While the GPL gives users the right to redistribute (even to sell) verbatim copies of your themes, it certainly does not give them the right to imply that they represent you, or StudioPress. The GPL is not a license for trademark infringement, and I fully support using every available means to go after trademark infringement. I think the commercial world already supports full exercise of GPL rights simultaneously with full enforcement of trademark. Firefox is the most obvious example (and Ubuntu, for the more geeky among us). Just as Debian must re-brand Firefox as Iceweasel and Ubuntu-derivative distros must re-brand, so should those who re-distribute your themes re-brand them. So, I agree with you on those points. It is just that they are not GPL issues; the GPL is silent on them, because it involves copyright, not trademark. 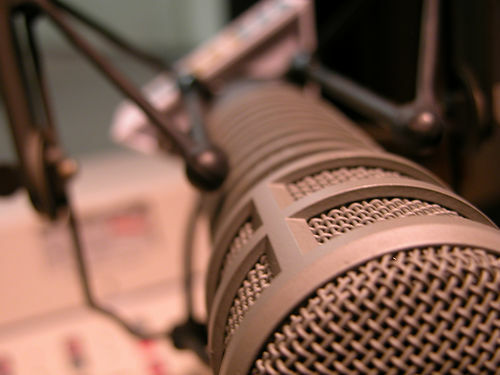 One thing one must take into consideration when it comes to commerciability and GPL is the complexity of what is GPLed. WordPress Themes are simple therefor easy to fork etc. You can easily give support for them also. MySQL is not and it requires much more resources to fork and maintain and provide support for. If your software is complex enough the threat of forking, redistribution etc diminishes I thing. So GPL doesn’t that much in these cases. Also your competitors can’t use the code for their products. Clearly ethics and pressure to do the “right thing” by Matt and Automattic is not a deterrent against piracy and it’s actually quite incredible that Brian was surprised by all the piracy that occurred with his themes. It blows my mind that premium plugin and theme developers use the GPL license and are surprised when their works are pirated. Oh wait, I guess you can’t technically call it piracy if it’s licensed under the GPL, right? Doh! You seem to be making the point about branding here, and afaik branding isn’t GPL’d so again the argument seems specious here. Put another way: if someone were to redistribute under another brand name that would be ok? If yes, than fair enough, if no, than you need to consider moving to a different licence. A specific use case: If I hypothetically were to port your front end designs onto my code base (designs only, not php or css) would you consider that unethical? 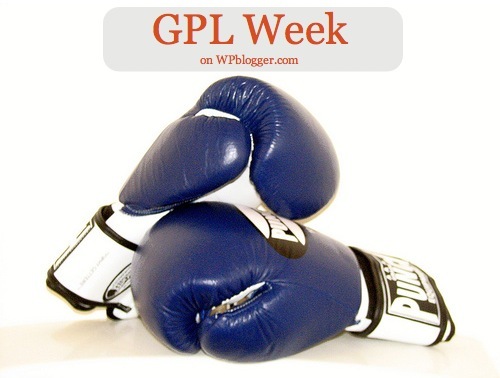 Previous post: WordPress GPL Week on WPblogger!